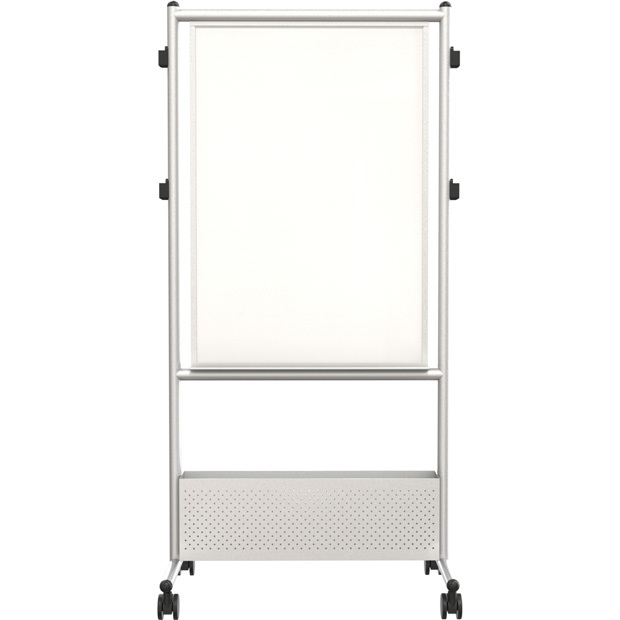 * Get the most out of your mobile compact whiteboard with the Expanding Nest Easel. * Double sided in porcelain or Dura-Rite HPL dry erase surface (40.75"H x 28.75"W), this versatile easel features optional removable side panels made of melamine dry erase surface, giving you even more room for notes and ideas. * Panels available individually or in a set of four. * Each measures 23"H x 15"W and hooks easily to the frame for simple set up and break down. * Main whiteboard surface features accessory trays and flip chart hooks on each side. * Easel can be set to 65" or 72" high. 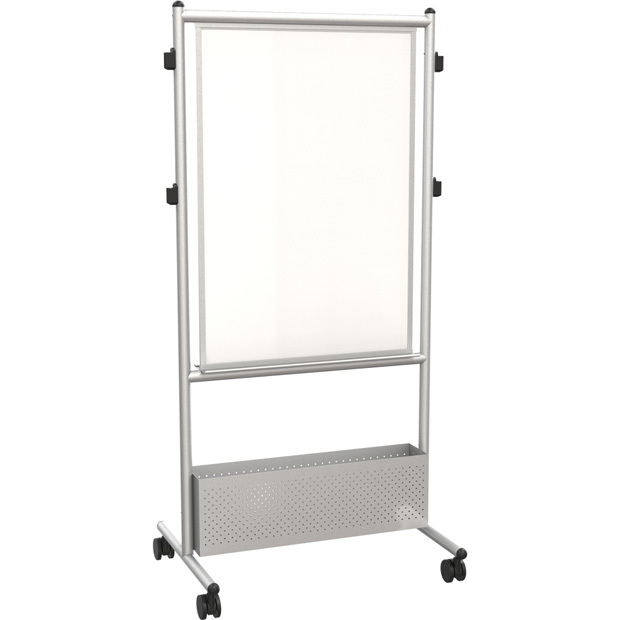 * Frame includes a handy perforated storage box that can be adjusted in height to accommodate a variety of items. * Easel is designed to nest for easy transport and compact storage when not in use. * Includes 2" locking casters.